I love music and often times I’ll take it at face value. What it means to me isn’t going to be what it means to everyone else. But I always enjoy getting inside the head of my favorite songwriters, whether it’s via their own explanations or something like Rap Genius. So, hot on the heels of my recent lyric videos, I’m posting song meaning videos over the next few days so listeners can get inside my head. –If you haven’t heard, I’m tackling a project per month for a year and calling it 12 Months of Stuff. Subscribe to my newsletter for monthly updates as well, and follow me on Twitter. Use the hash tag #12MonthsOfStuff to let me know the small steps you’re taking to get to where you want to be. 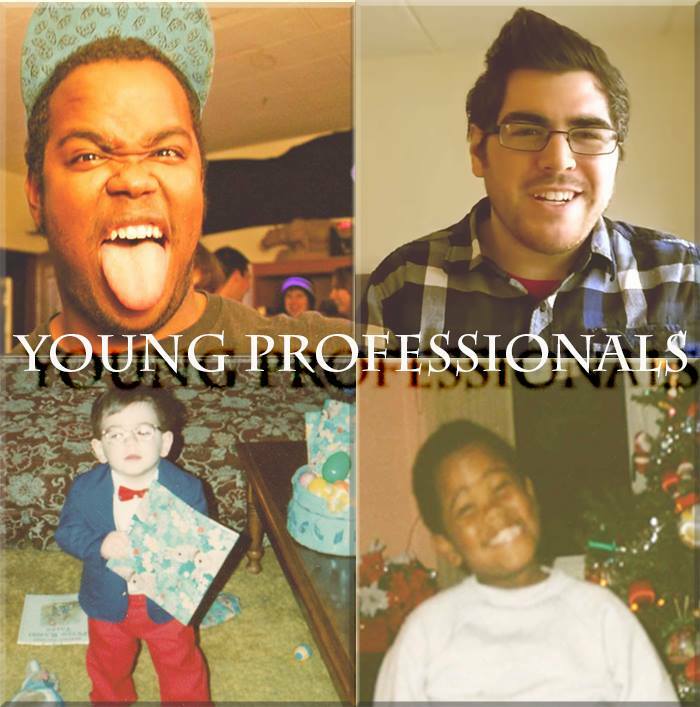 Listen to my split EP “Young Professionals” now! My split EP with A Day Without Love, Young Professionals, is out now on all major services. Please give a listen and let me know what you think. Stay tuned for more video content this week. This EP is a big deal for me. It marks the first music I released formally in 3 years and I got to do it with one of my good friends, Brian Walker of A Day Without Love. We mixed it up on this EP – my songs are acoustic and his are electric – but there’s still something for everyone. I’ll be blogging and doing videos featuring the lyrics and meanings behind my songs, so stay tuned here or subscribe on YouTube. Throw this on while you’re doing laundry, working out, or driving around. Whichever way you decide to consume these tunes, please give them a full listen :). Enjoy. If you haven’t heard, I’m tackling a project per month for a year and calling it 12 Months of Stuff. Subscribe to my newsletter for monthly updates as well, and follow me on Twitter. Use the hash tag #12MonthsOfStuff to let me know the small steps you’re taking to get to where you want to be. This week is huge. It marks the release of my first public tune-age (read: a listenable, promoted music release) since 2011 (!). On February 24, I’m releasing the split EP Young Professionals with A Day Without Love. It’s coming out on all your favorite digital services. To celebrate, I’m posting a lyric video per day on Monday, Wednesday, and Thursday, and videos on song meanings from Friday – Sunday. I’ll edit this post to include each lyric video so they all have one cozy post roof over their digital heads. Today’s video includes my first song on the Young Professionals EP, and the fourth song overall, “Kim”. This is the EP version (obviously), not the alt version I posted earlier this month. Enjoy, and check this post over the next few days for the other two lyric videos. And hey, this may be a good time to subscribe to my YouTube channel. On ‘Young Professionals’, there’s a special audio dichotomy that can only exist when two friends miscommunicate. Namely, A Day Without Love’s songs are electric, and mine are acoustic. If you watched the Split Announcement Video you’ll hear me allude to the fact that Brian told me we were doing an acoustic EP, yet he recorded all his songs as full band, in-your-face electric jams. 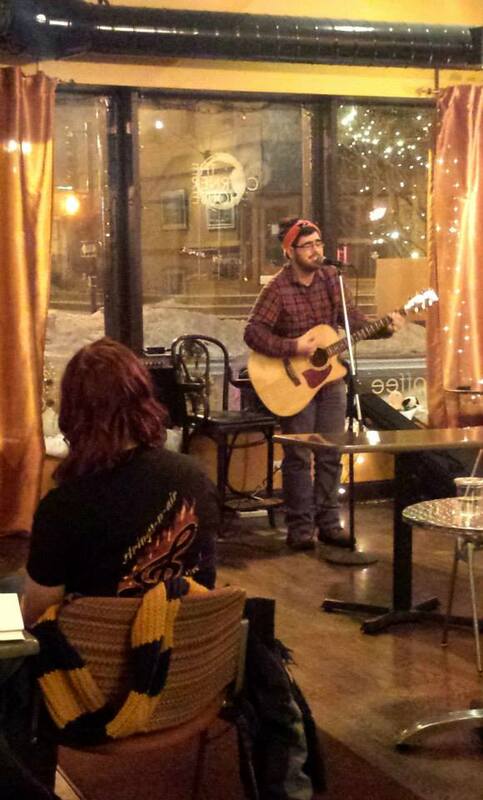 I was initially surprised when I came in with acoustic tracks, but it ended up working in our favor. What we created speaks to how Brian and I are as music fans and as artists — we wanted to create something cool together, so we did. Neither of us feel it’s necessary to release a split with an artist that sounds exactly like you, so we rolled with the miscommunication, and Young Professionals stands tall, half acoustic and half electric. That said, I decided to take an acoustic spin on the hardest song on the EP, ADWL’s opener, “Pity”. Think of it as what could have been had we gone all acoustic :). Hear my take below, and hear the finished version on February 24th when Young Professionals releases on all your favorite streaming services. Here’s an alternate version of a song that’s on the Young Professionals split EP that I’m releasing on February 24. It’s called “Kim”. The EP version is very light hearted and bouncy. There’s a capo on the third fret and it’s much faster than this one. There’s even some parts that may leave you laughing (seriously), but I’m not giving anything away just yet. That isn’t this version. So, don’t be alarmed if you don’t like this alternate take, because it’s nothing like what’s on the EP :). This version is in standard tuning and slowed down, which gives it a darker tone. Watching the video back, this version of “Kim” is actually pretty ominous and a tad depressing, but I still like it. It’s a much different vibe than the EP cut. The darker tinge and lower octave opens up the melody a bit, allowing me to riff vocally here and there. That’s fun. Plus since the song is slowed down there are some interesting lyrical patterns that I can fit into each verse. Hope you enjoyed this alternate take of what is usually a happy-go-lucky jam :D.
Music is like, the best thing. I love listening to it, writing it, playing it, and submersing myself in all its beat-dropping, hook-singing, chord-strumming glory. It’s been almost 4 years since I released any music, so I’m proud to announce for February’s month of stuff, I’m releasing a split EP with my friend Brian Walker of A Day Without Love. Watch the video below for more info, and subscribe on YouTube for lyric videos, music videos, and more, all month long.